The 10 Best Tanning Salons in Louisiana! There’s nothing like a sculpted and tanned body, but sometimes it’s challenging to balance work and life to get enough time in the sun. If you need help getting or maintaining that awesome tan, check out the best salons in Louisiana for some help. Each one offers something special to meet your needs and have other complimentary services for a healthy body. Here are our favorites. Open every day except Sunday, SunBodies Bronzing Boutique in Metairie, Louisiana, has all the products and services you need to enhance and protect your body. Whether you’re looking to add a little color or protect against the harmful effects of sunlight, you can have traditional UV tanning or try the airbrushed tans for full body coverage. To add additional protection to your skin, you can enjoy a hydration treatment that will moisturize your skin with a delightful combination of aromas. The shop also carries a line of tanning apparel and skincare products. Who doesn’t like the kiss of the sun on your body? Sometimes you need a little help getting or keeping that glow, though, and if you’re looking for a place that specializes in a full range of tanning services, look no farther than Touchable Tan in Denham Springs, Louisiana. This privately-owned salon has been in operation since 2012, and offers the best in products and services like UVA and UVB tanning with various levels. Open every day but Sunday. This locally owned and operated tanning salon offers more than the best tanning services. The addition of a new hair studio gives customers more opportunities to be the best they can be. Beautiful bronzing lotions for temporary results are a great way to look your best for that special event when you don’t have time to get a traditional sun tan. Open every day. Customer satisfaction is what drives the friendly folks at Palm Beach Tan. Located in Prairieville, Louisiana, this salon employs trained and certified professionals who can give you the look and feel of a sun-kissed body by great products like the sunless tanning spray or traditional tanning bed sessions. You’ll be able to ask your questions to knowledgeable staff who can recommend the right lotions to keep your skin in tip top condition. Do you want to look like it’s summer all year round? Then put a trip to Ultimate Experience in Lake Charles on your list of things to do. With hours every day all week long, you’ll find the most modern state-of-the-art equipment and tanning beds available and a full line of lotions that will help protect and moisturize your skin to keep it healthy and feeling soft. A fully trained and certified staff is there to help answer your questions and make recommendations. This salon offers student discounts, a rewards program, and over 50 different packages designed to meet your budget. You don’t have to live in the tropics to have skin that looks like you do when you visit Salon Tropics in Baton Rouge, Louisiana. You’ll find helpful information from a trained and certified staff who want to give you tips to getting and maintaining healthy skin. Salon Tropics, a locally owned and operated shop, has been giving recommendations on what will work best for the results you want for over 10 years. They can help you maintain that beautiful look by their full line of lotions and skincare products. They offer new member specials and have packages that fit any budget. If you’ve never had an automated service before, you’re in for a treat at Planet Beach Spray & Spa. Using smart technology to pinpoint areas of tight muscles and light therapy to create that facial glow you’ve always wanted, you can create the perfect beauty treatment with the click of a button. Need your teeth whitened? That can be done at Planet Beach, too. 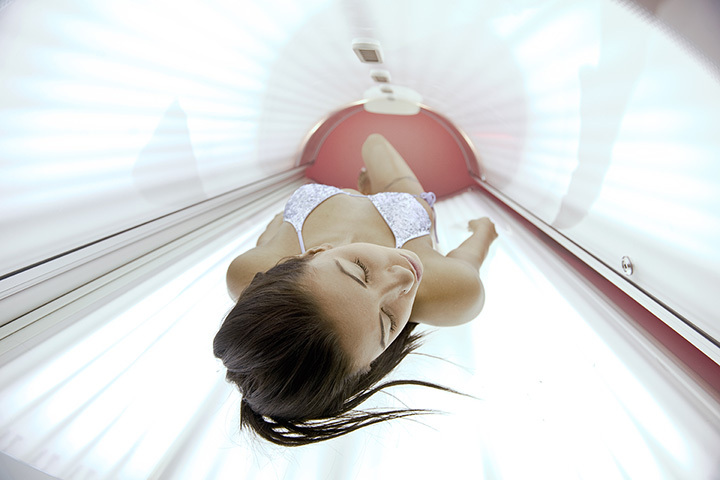 And if you want to get or maintain that sun tan with or without good weather, they have UV tanning beds available. Looking for a place where you can get a great tan without breaking your budget? Sun Tan City in Monroe, Louisiana, can help you achieve your goals with low membership rates. Open every day, you can select a membership plan that works for you for services like instant tanning services, sunless tanning, and a great line of lotions that will keep your tan fresh and glowing. With convenient hours every day except Sundays, Bare Essentials in Houma, Louisiana, offers spray tanning, traditional tanning bed sessions, massage therapy, haircare, and meal planning consulting for wellness and weight loss. The café located in the salon has been voted the Bayou’s “Best of the Best” and has a great menu of salads, panini wraps, soups, sandwiches, and smoothies that will aid in your quest to be the best you. Salon D Nola, located in the heart of downtown New Orleans, offers beauty and grooming services for men and women. In operation since 2013, brides are their specialty because they understand that you want to look your best on your special day. The nail bar offers gel manicures, pedicures, paraffin treatments and other facial and body treatments that will leave you feeling like a new person. You can select your level of tan with any of the spray tan services available.